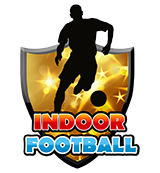 Cricket Rules - Indoor Leagues - Home of Indoor Cricket, Football, Badminton and More! 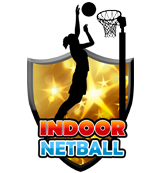 Indoor Cricket is an exciting team game that is played in different formats. 6 a side and 8 a side are common formats. However, our format will be 10 a side and thus will be a T20 format. If you have played indoor cricket elsewhere before, then you may be familiar with some of the rules. However, our format is a little different so the rules may vary in places. 10 players per side (unless players short or injured. See Fielding a Team Rule for full details). 20 overs per side (unless late start. See Time Rule for full details). 40 overs per game (unless late start. See Time Rule for full details). Every player bowls two overs (unless players short or injured. See Short/Injured Players Rule for full details). Every player bats for 4 overs with a paired partner (unless players short or injured. See Short/Injured Players Rule for full details). The game will be played on an indoor felt mat. The wickets will be free standing collapsible style. Zing Bails will be used which will be attached to the wickets to avoid the bails flying all over the place. Yellow indoor cricket balls will be used. One new or old ball per match. After the toss winning captain will decide if he wishes to use a new ball or an old. Whatever ball used to start the game (new or old) the same ball will be used in both innings unless damaged. In the case of a damaged ball a similar wear and tear ball will be issued to continue with the match. (if there are no similar wear and tear old balls then any old ball will be provided. If no old balls available then a new ball will be provided). All of the above will be supplied by the hall providers or organisers. Any other equipment i.e. bats gloves etc. are the responsibility of the clubs, teams or players themselves. Players are free to use any protective equipment they wish to use. Teams must be dressed in team kits. Team kits are sponsored so teams will be required to come dressed in their kits so as to honor the sponsors. Please be careful with the footwear worn. Make sure that the hall floor is not damaged with your footwear. Umpire. The most important person in the game with the most difficult job. All players must appreciate that the umpire will make decisions according to what he sees and believes to be correct. Other decisions may not be so easy if his line of vision is impeded as one example. So please make your appeals and if the umpire has made a decision based on what he sees or believes to be correct, then please get on with the game whether you believe the decision is correct or not. Before each game an umpire will be appointed by the organisers who will officiate the game with total impartiality. Teams will have no choice in the appointment of an umpire. The umpire may only be changed at the discretion of the organisers. Umpires decision will be final. No dispute, written or otherwise, will alter the result of the game. The umpire will be the sole judge of the fair or unfair play. The Captain of the fielding team, players or the batters may query the umpire’s decision, but once the Umpire has replied, then no further talking back to or at the Umpire or any discussion on the decision will be tolerated. Any player arguing with the umpire will be officially warned by the organisers. Only one official warning per season per player will be issued. No second warning will be issued in the playing season. If he then persists then he will be sent off and he will be handed a ban from playing the next game. If the same player should persist in any of the following games, then total ban will be considered. The game consists of 1 batting and 1 bowling innings per team. Each innings consists of 20 X 6 ball overs per team unless late start to the game. (See Time Rule for detailed Rules for full details). Batting will commence in pairs. The scorer must be informed of each batsman’s name before the pair go in to bat. Each pair will bat 4 overs each. Regardless of dismissals the pair will continue to bat their full 4 overs. Each dismissal will deduct 5 runs from the team score and will go against the player dismissed. But the dismissed player will continue to bat the full 4 overs with his partner. The batters must change ends after each over has been bowled and not after each dismissal. Once the batting is decided the batting team must have the first batting pair ready to go in for the scheduled start time. No player may bat more than once in any one match, unless players short or injured. (see Short/Injured Players Rule for full details). The scorer must be informed of the bowler’s name prior to each over. A team cannot declare innings closed but must continue to bat and complete the innings even if the opposition score has been passed. The team compiling the highest number of runs at the end of both innings will be declared the winner. In the case of a tied score after the end of both innings, then the winner will be decided by the following 2 criteria and in this order. Team with the most number of 7’s wins. The Captains will be responsible for the overall conduct of their teams/players, and the smooth running of all games in a timely fashion. The captains for each match are responsible for ensuring that the team sheets and the score sheets are filled in correctly and signed. Team subscription and playing fees will be paid in accordance to the league rules, breaking of these rules will result in the team being expelled from the league. The captains will make aware to all its players the need for personal accident insurance, as this will not be covered by the league, either travelling to and from or during the match. Please ensure that you as a club have cover or that individuals have personal injury cover. The league will not be responsible for any items lost or stolen. A game is played between 2 teams with a maximum of 10 players each or a minimum of 8 players each. Each team must have a nominated captain in every game played. No team can play with less than 8 players. Should a team arrive with less than 8 players then they must wait till their players have arrived to bring the playing members to 8. Or such a time that 50 minutes after the scheduled start time have lapsed. in this case the game will be abandoned with the offending team forfeiting the game. Note: 8 players must be present inside the Hall premises whether inside the actual Hall itself or just outside the Hall inside the building or in the balcony for the minimum 8 player rule to apply. Players in the car park or outside the building will be considered not present until they have entered the building where the Hall is. However, a game must proceed on schedule if a minimum of 8 out of the 10 players are present in each team. Should a team arrive with less than 10 players but with a minimum of 8 players then they will be permitted to borrow fielders from opposition team or other teams for fielding purposes. A game can be completed with only 8 players with borrowed players for fielding purposes, but for batting and bowling purposes they can only use their own players subject to special rules. A game cannot be completed if a team has less than 8 players. In such a case where, a team has less than the minimum 8 players required to start the game then they will forfeit the game, in that case they will pay the whole match fee (both teams). A game cannot start after 50 minutes of the scheduled start time. If a game has not started by 50 minutes of the scheduled start time, then the game will be called off. The team with less than the required 8 players, after the lapse of 50 minutes after the scheduled start time, shall forfeit the game. And the winning points will be awarded to the opposition team. If both teams have less than the required 8 players, after the lapse of 50 minutes after the scheduled start time, the game will be called off. In this case the teams will share the points. Once a player has played for any team he is not allowed to move from that team in that league competition, with the exception of the following 2 rules. If a club has more than one team entered in the league, like a 1st team and a 2nd team, then they will be permitted to swap players from 1st to 2nd and vice versa. This rule will only by applicable where the teams are in different divisions and not in the same division. However, a player may only play for one team in any one week. A game can only be played and completed when a minimum of 8 players are present. So you will only be 1 or 2 players short. Note: 8 players must be present inside the Hall premises whether inside the actual Hall itself or just outside the Hall inside the building or in the balcony for the minimum 8 player rule to apply. Players in the car park or outside the building will be considered not present until they have entered the building where the Hall is. However, an injury during the game may mean that you can be more than 2 players short if already 2 players short from the start. The rules applied will be the same whether 1 player short or 2 players short or more due to injury. When batting the opposition Captain will nominate 1 or 2 players of his choice to bat again. This will happen by the end of the 12th over. If there are more than 2 players short due to injury, then the Captain will nominate the number of short players to bat again by the end of the 12th over. When bowling the opposition Captain will nominate 2 or 4 players of his choice to bowl again by the 12th over has been bowled. If there are more than 2 players short due to injury, then the opposition Captain will nominate the number of short players to bowl again by the end of the 12th over. If an injury occurs during the game, then a runner will be allowed. However, the runner will need to wear the full gear worn by the player he is running for. All times will be determined from the Clock in the Hall. Unless the Hall Clock is found to be out by 5 or more minutes. The hall is booked for select times. All games have to be played and completed within these times. The hall may be booked before our start time and may be booked after our finish time by other users. We must respect the bookings of other hall users. So we must not go over our time and infringe in to other users booking time. Hence the importance of timing and strict timing rules will apply with costly penalties for teams who do not respect the importance of time. The timing rules are as below with the respective penalties in various forms. All teams (except in a case where full team is not playing, but then the minimum of 8 player rule will apply) should arrive for their matches 15 minutes before the scheduled start time and upon arrival, captains should conduct the toss. Once the toss has taken place the captains must hand umpires a signed team sheet with full names of all participating players and the match fee in advance. This will save time in between games. Should a team (except in a case where full team is not playing, but then the minimum of 8 player rule will apply) arrive later than the 15 minutes before the scheduled start time, then that team will automatically lose the toss. 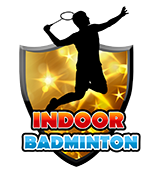 Note: 8 players must be present inside the Hall premises whether inside the actual Hall itself or just outside the Hall inside the building or in the balcony for the minimum 8 player rule to apply. Players in the car park or outside the building will be considered not present until they have entered the building where the Hall is. In such a case that both teams are late then the first team to have minimum of 8 players arrived will win the toss and have the right to decide. Should a team (except in a case where full time is not playing, but then the minimum of 8 player rule will apply) arrive later than the scheduled start time then that team will not only lose the toss but also 2 overs will be deducted for every 5 minutes, or part of every 5 minutes, that the game is late to start. The team that has arrived on time will still play their full overs. In such a case where both teams are late (and minimum of 8 players rule will apply) then each team will lose 1 over for every 5 minutes or part of every 5 minutes the game is late to start. Until such a time that one of the teams has the minimum of 8 players present. Then the team that is still not to the required minimum 8 players present will continue to lose 2 overs per every 5 minutes, or part of every 5 minutes, on top of the overs already lost. Any players who are going to arrive late must be on the player sheet and captain must inform the umpire and the opposition captain of such players. Any players who are arriving late must wait until the end of the over in progress to be completed before entering the hall. Teams must have their batting pairs ready by the scheduled start time and every 4th over thereafter, so as to save time between batting pairs. All teams should arrive for their matches 15 minutes before the scheduled start time and upon arrival, captains should conduct the toss. The toss can only take place once both teams have a minimum of 8 players present. Note: 8 players must be present inside the Hall premises whether inside the actual Hall itself or just outside the Hall inside the building or in the balcony for the minimum 8 player rule to apply. Players in the car park or outside the building will be considered not present until they have entered the building where the Hall is. Once the toss has taken place then both captains must hand umpires a signed team sheet with full names of all participating players (including late arrivals) and the match fee in advance. This will save time in between games. Should a team arrive later than the 15 minutes before the schedule start time, then that team will automatically lose the toss. The winning Captain decides if they will bat first or bowl first. The hall is divided in to 2 playing halves. Although this is not exactly half but for simplicity sake we will call them 2 halves. See diagram above. The runner’s crease will be considered the half way line. Fielding side must have five players including bowler in the bowler’s half of the hall and 5 players including wicket keeper in the other half of the hall before the bowler has delivered the ball. (Except during a power play. Please see separate rule below). Once delivery has taken place fielders are free to move in any area they need to. If this is not observed the umpire will call it a No Ball and No Ball penalties will apply on top of whatever is scored. There will be 2 power plays in each innings of the game. 1 power play called by the batting side and 1 called by the fielding side. In either case they will last 2 consecutive overs at a time. In each power play the fielding side will need to adjust the fielders in such a way that there are 4 players including bowler in the bowler’s half of the hall, and 6 players including keeper in the other half of the hall before the bowler has delivered the ball. Runs can be scored by hitting different parts of the walls of the hall on top of the normal conventional way of scoring. The back wall behind the wickets holds no value. You can only score what you run. The side walls before the half way line in the striker’s half is 1 run + whatever the batters run. The side walls after the half way line in the bowler’s half is 2 runs + whatever the batters run. The front wall behind the bowler’s end is the boundary wall. The normal boundary rules apply. 4 along the ground 6 straight on to the wall. And extra runs can also be scored by running. So 4 or 6 + whatever the batters run. For the 6 the ball has to hit the front wall directly or off the ceiling and not off the side walls. For ease of simplicity the last metal beam before the front wall shall be considered part of the wall and hence a 6 will be called. The last line of lights by the front wall shall also be considered part of the wall hence a direct hit will be a 6. The netting right next to the boundary wall will be part of the wall. This will be a 6, if hit directly, or a 4 and you can not get caught off this net. In all cases the runs will apply to the first wall that the ball touches. Over throws will not apply to the walls. Only what the batters run. Balls deflected off a fielder while fielding on to a scoring wall will be applied to the score providing the ball was played by the bat or the hand holding the bat. Wide balls and No Balls are other forms of scoring runs, however, see separate sections below. The striking batsman will retain the strike after a dismissal unless the batsmen have crossed during a run out or a catch out. There is no Leg Before Wicket “LBW” rule. The base plate of the stumps will be considered part of the stumps. This will apply to run outs also. The normal dismissal rules apply as below. Mankad: As the ball is always live (unless Dead ball is called or over has been called or a wicket has fallen or the bails are being placed back on the stumps by the umpire or the umpires assistant) a batsman at the non-striker’s end can be Mankad out by the bowler, any time before the release of the ball, even if he has completed the delivery action. Non strikers have to be aware of this and be careful. Caught out: A striker can be caught out off any wall or ceiling or the fittings on the ceiling with the exceptions below. If directly off the front wall (boundary wall). Indirectly off another side wall first on to the front wall (boundary Wall) can be caught out. The last fitting on the front wall is considered part of the front wall. So this will be considered a 6 and cannot be caught out. If the ball gets lodged in any of the nets, then you cannot be caught out. The net by the front wall (boundary wall) will be considered part of the boundary wall. So a straight ball on to it will be a 6 and if a ball bounces off the floor without touching any of the other walls before hitting this net it will be a 4. You can not be caught out off this net. The game commences once the players take up their positions and the umpire calls “PLAY”. Once the “PLAY” call has been made the ball remains live throughout the over unless the umpire calls “DEAD BALL”, “OVER” or "A WICKET FALLS" or "the umpire or the umpires assistant is placing the bails back on the stumps". Play commences again once the umpire calls “PLAY”, and the ball becomes live again. A dead ball is called in certain circumstances and it may or may not incur the NO BALL penalty. A dead ball may or may not be re-bowled as circumstances dictate. A dead ball will incur in following circumstances and no runs can be sneaked by the batting side. If the ball gets lodged in the nets or any of the fittings in the hall. Only one run can be taken of this ball. The ball will not be re-Bowled. While the bails are being placed back on to the stumps by the umpire or the umpire's assistant. An injury to a player. The bowl will not be re-bowled but play will stop until the injured player is dealt with. The batter was not ready to face the ball. Ball will be re-bowled. The bat accidentally leaves the batters hand as a result of playing the shot. The ball will not be re-bowled. The ball being bowled hits a fielder. Ball will be re-bowled. And penalty runs for no ball will apply. If play is stopped due to a dispute, then the ball will automatically become dead whether the umpire calls it or not or forgets to call it until “PLAY is called again. However, the result before the dispute will stand. Additional runs will be added if runs taken off the wide ball to the 4 penalty runs. Leg side wide: Any ball down the leg side will be called a wide ball if the ball does not touch the striker’s person or equipment. However, if the ball is down the leg side, but passes between the striker and his stumps, it will not be called a wide ball. Offside wide: For the purpose of identification there will be a mark on the offside between the striker’s wickets and the edge of the mat. This marker will be used to gauge the offside wide. Any ball bowled outside this mark on the offside, and not touched by the striker’s person or equipment, will be called a wide. Batters can still be dismissed in various forms from a wide ball. The 5 runs penalty will still apply if dismissed from a wide ball. However, this will actually be -1 once you deduct the 4 penalty runs for the wide + any other runs scored through running etc. The umpire or the leg umpire will call a no ball for every ball they deem to be an illegitimate ball. Each No Ball will carry a penalty of 4 runs. A No Ball is not re-bowled unless it is the 20th over of each innings. (see The Last Over Rule for further details). Ball Chucking: The ball is thrown by the bowler whilst bowling. Ball Chucking: Slow ball chucks will be allowed in the league. However, fast chucks will not be allowed and will be called No Balls. The Umpires will be the sole judges of Chucking. Front foot fault: The whole or part of the front foot has to be behind the bowling crease or the return crease whether grounded or not. If not then the ball will be deemed a No Ball. NOTE: Any part of the foot on the line and not behind is considered to be a No Ball. Full Toss: A full toss which is above waist height when it gets to the striker in his normal standing position. Bouncer: A bouncer which is too short and passes over the striker’s front shoulder while in his normal batting position. This will be regardless of the ball hitting the striker’s bat or any equipment. The striker must have part of their back foot behind the batting crease and not necessarily be grounded. Ball off the Matt: While the ball is being bowled, if any part of the ball lands anywhere off the mat before reaching the line of the batting crease. Fielding No Ball: This will happen when the fielding side has, more or less fielders, in each half of the hall than is permitted. Bowling Action: A bowler changes action without informing the umpire. You cannot be stumped or caught off a No Ball but you can be run out. All runs and penalty runs will apply in a case of a No Ball. In order to eliminate the aspect of deliberately bowling No Balls and Wide Balls to take unfair advantage at the end of the game, the following rules will apply for the last over only of every innings. The wide ball and no balls can be asked to be re-bowled in the last over. The call will rest with the Captain of the team only and not the individual batters batting at the time. If a re-bowl is asked for then you do not get the normal 4 run penalty for it. Instead you get 2 runs and an extra ball. If the captain does not exercise this rule, then you will get the normal 4 runs penalty and no extra ball. The very last ball of every innings will hold double the value of whatever becomes of it. Whatever happens in that ball will be doubled. An out will be 10 runs instead of the normal 5 runs penalty. 1 run will be 2 runs. A 6 will be 12 runs and so on. In case of a wide or a no ball it will be doubled if the ball accepted. If an extra ball rule triggered, then the wide ball or no ball will be the normal 2 run value as it will not be the last ball of the innings and the next legitimate ball will hold the double value. Batting: Each team to receive 1 bonus point for scoring 300 or more runs as a team in any one innings. Bowling: Each team to receive 1 bonus point for dismissing the opposition team over 25 times in any one innings. Final ladder position at the end of the season will be determined by the most number of points. In the event of 2 or more teams finishing on the same number of points, then the positions will be determined by the Net run rate. Should a side pull out of the competition during the season then points awarded to teams form any completed games against the team that has pulled out will stand. Any fixtures remaining with the team pulling out will mean that the winning points will automatically be awarded to the teams yet to play against the team pulling out. To qualify for any of the trophies you must have played more than half of the tournament. The main Trophy for the over all League Winners. This trophy can stay with the winners until the start of the next League competition when this will have to be handed back. 12 Winners Trophies for the winning squad. 12 runners up Trophies for the runners up squad. 2 Bowling trophies 1) for the most wickets 2) for the best economy. 2 Batting trophies 2) for the most runs scored 2) for the best strike rate. In addition a Man of the Match award will be awarded for every game. This will be awarded a week after the week of the games have taken place or the next time games take place in case of miss weeks. Any act of misconduct may incur different forms of penalties including Run Penalties, ordered out of the Hall, Game Bans and Complete expulsions from the League. The Umpires may warn players at their discretion, however, no warnings may precede the application of such penalties. The maximum penalty for any single rule violation will be 5 runs. In the case of any violent misconduct will incur run penalties in multiples of 5 runs to a maximum of 25 runs depending on the nature of the violent conduct. Any verbal abuse to players or officials will be considered to be violent conduct. Any player awarded 2 counts of misconduct, for any reason, in any one game, will be Expelled from that game and will take no further action in that game. His team will not be able to get a fielder replacement and his team will not get any nominated player to bat or ball on his behalf.